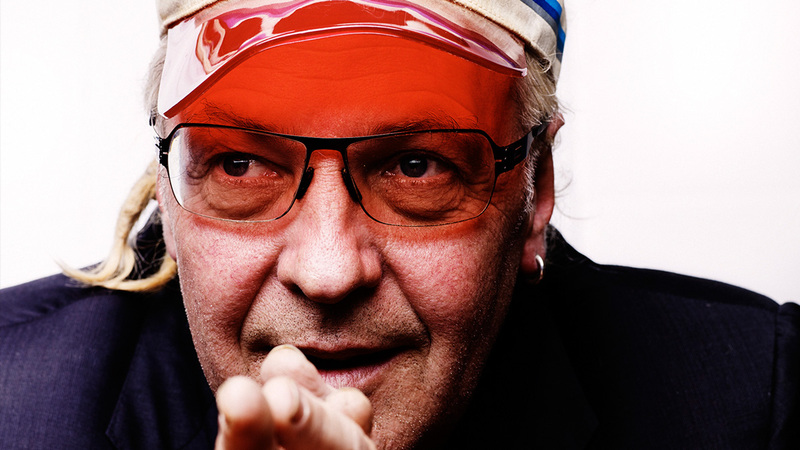 Born Martin Glover, Youth is a multi award winning, legendary music producer, fine artist, songwriter, remixer and bass player of the seminal post-punk band Killing Joke. With a staggering 20 million records sold worldwide, Youth’s career spans over three decades and shows no sign of slowing down. The music he makes has inspired not only the legendary artists he works with, but the next generation of acts who have grown up hearing Youth’s production. He has produced and remixed for a staggeringly large and diverse array of artists including Sir Paul McCartney (The Fireman), Pink Floyd, The Verve, Yazz, James, Primal Scream, Guns N’ Roses, Blue Pearl, Art of Noise, P.M. Dawn, De La Soul, Erasure, Beth Orton, Maria McKee, Suns of Arqa, The Shamen, Kool and the Gang, Texas, Tom Jones, Dido, Siouxsie and The Banshees, Malcolm Mclaren, A Guy Called Gerald, Marc Almond and U2. His ability to turn a song around and create a hit is legendary. Youth began producing in the early days of Killing Joke and left the band in 1982 to pursue solo projects, the first of which was the band Brilliant, which included contributions from Jimmy Cauty, later of The KLF. Youth began working with Alex Paterson and Cauty as The Orb, a collaboration that was responsible for the introduction of chillout ambient music. This led to the release of two classic The Orb albums ‘U.F.Orb’ and ‘Adventures Beyond The Ultraworld’, which featured ‘Little Fluffy Clouds’, a track that defined ambient house and chill-out and brought these genres firmly into the mainstream. In 1991, he formed Butterfly and Dragonfly Records, groundbreaking labels pioneering Goa Trance, Psy Trance and Chillout recordings. One of Youth’s most significant productions has been on The Verve’s hugely successful ‘Urban Hymns’ which included ‘The Drugs Don’t Work’ and ‘Bitter Sweet Symphony’. The album won the 1998 BRIT Award for Best Album, while Youth won the BRIT for Producer Of The Year. Most recently, Youth has produced albums for Black Grape, Hollie Cooke, The Jesus And Mary Chain and Shed 7, as well as touring with Killing Joke. He also runs his Liquid Sound Design label with a latest release from Mixmaster Morris, he is also launching Suriya Recordings, a new label of Indian experimental collaborations. Youth remains tireless in his quest for inspiration, excellence and innovation. In February 2016, Youth was awarded the PPL Outstanding Contribution to Music Award by the Music Producers Guild.